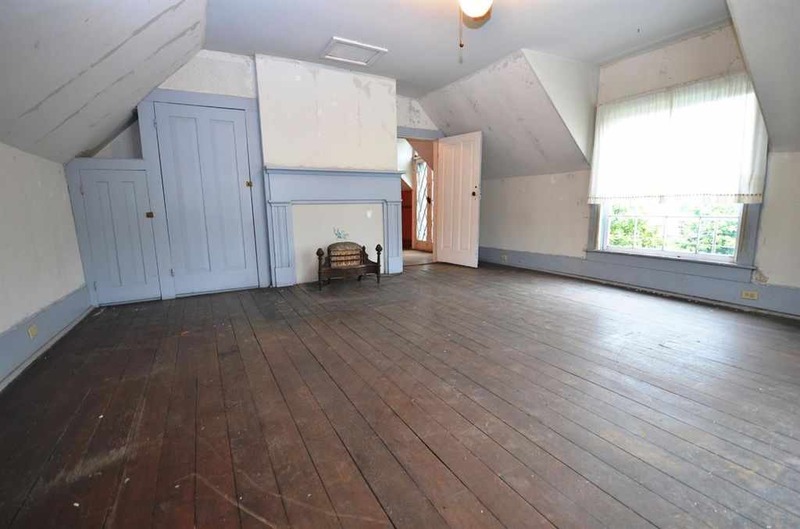 This spacious old home was begun around 1856 by M.B. Pulliam and completed by Daniel Curry in 1857. 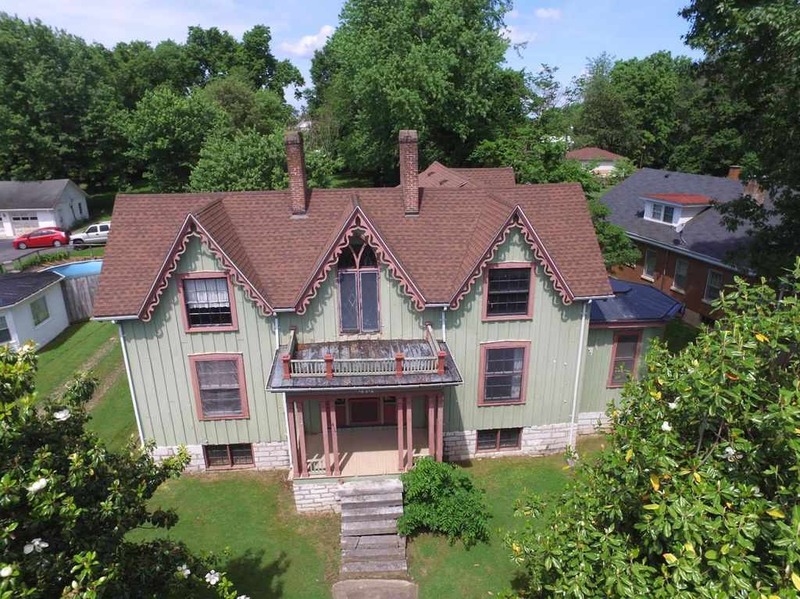 Steep gables decorated with gingerbread, and walls of board and batten are textbook features of the Carpenter Gothic Style. Daniel Curry was a noted mid-nineteenth century builder as well as a Kentucky legislator. 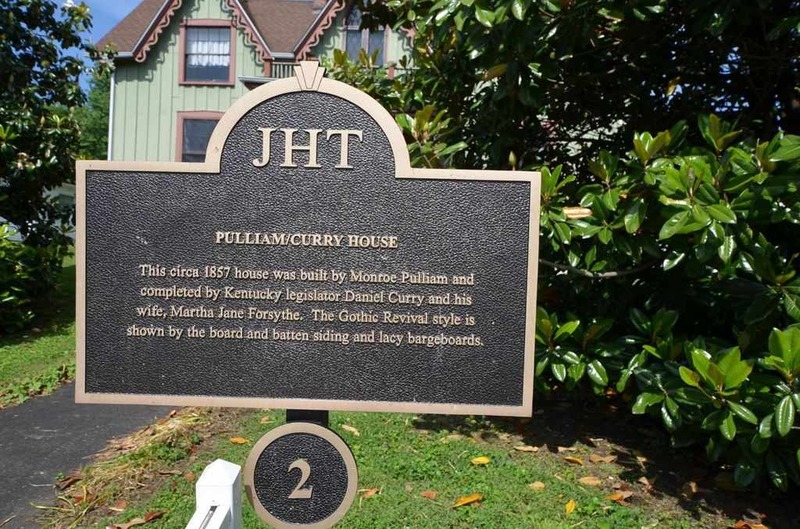 This is Harrodsburg's house of seven gables. 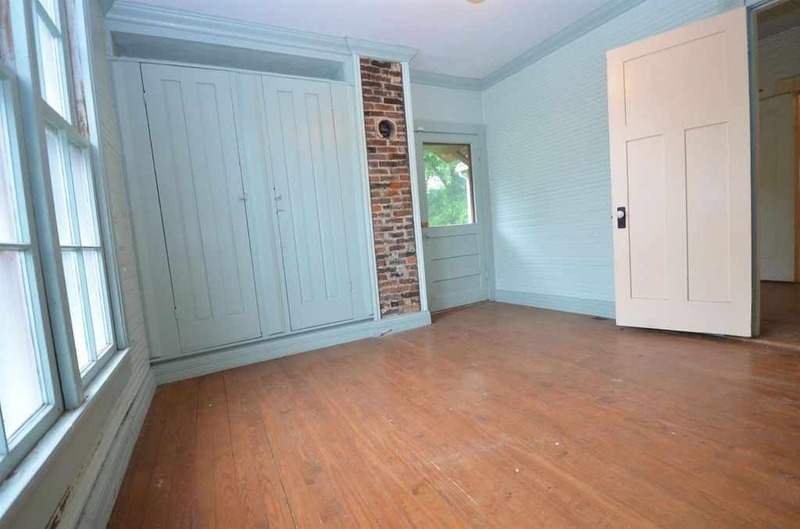 The front porch features four sets of paired columns spaced to frame the handsome doorway complete with sidelights and transom. A double lancet window/doorway opens onto the second floor balcony formed by the flat porch roof. 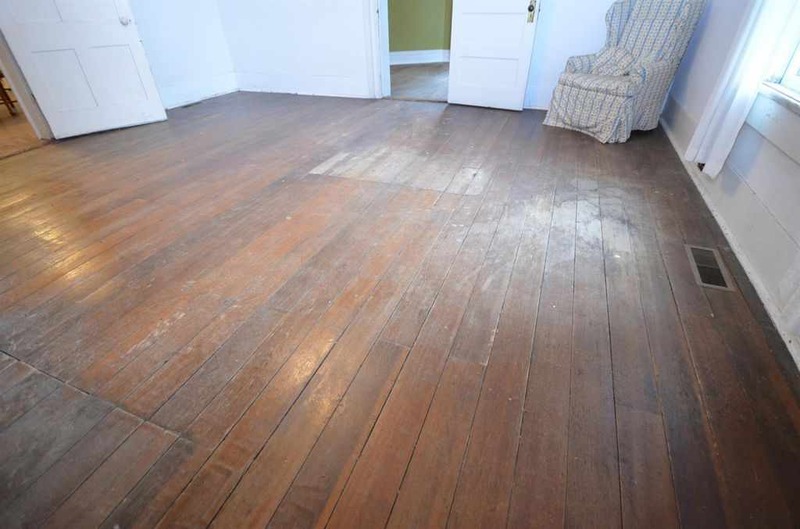 The interior of the home retains its original woodwork and flooring. 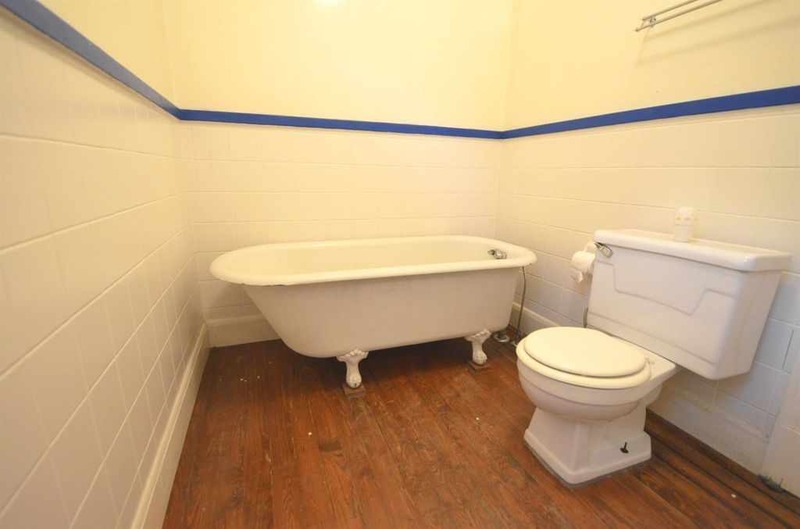 The home has 11 rooms plus 2 baths. 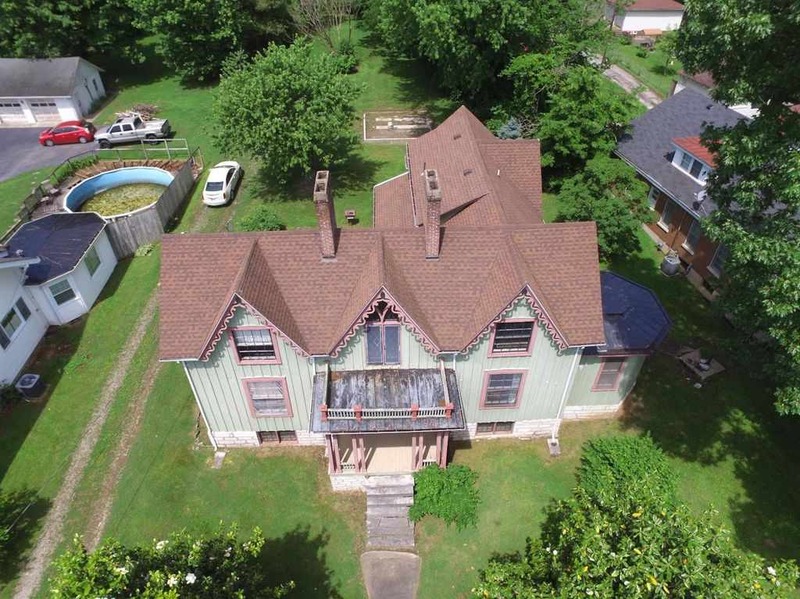 A real gem for someone who appreciates the character of older homes and wants to own a piece of history. 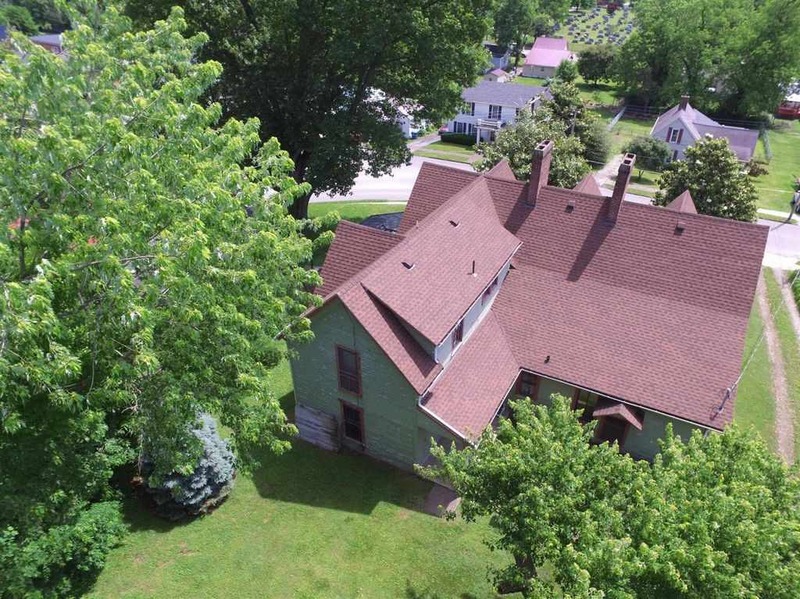 The home is listed on the National Registry of Historic Places. Love the kitchen sink. What’s with the cemetery tour sign? It’s in that massive kitchen, across from the luau tiki lights in the corner!! had to take off my glasses to take a second look! 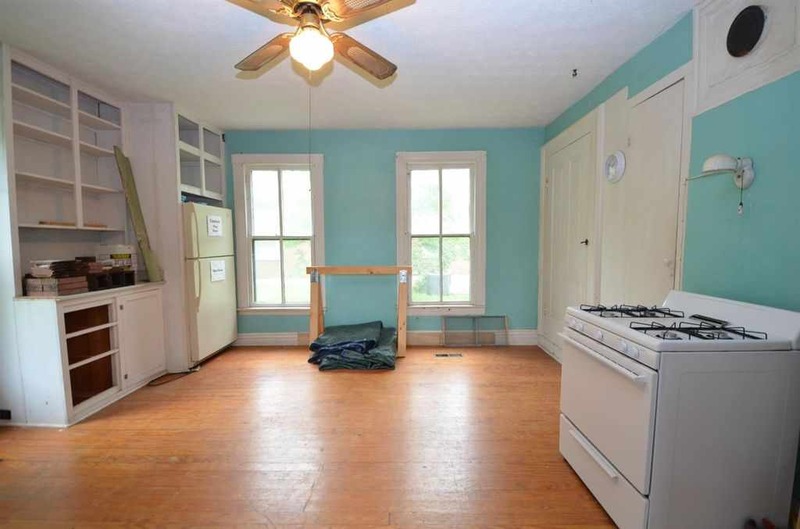 First kitchen picture, on the right-hand edge of the photo. 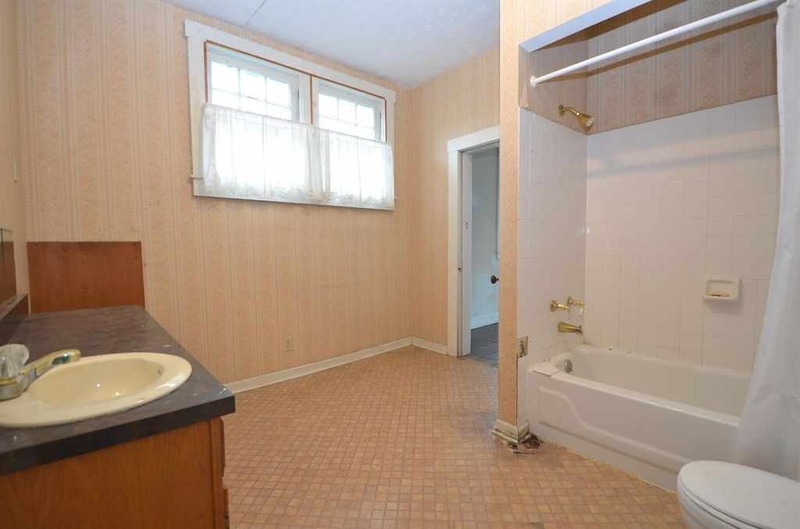 It’s in the photo with the picture showing the kitchen sink. Right by the door to the right. It’s in the kitchen, Kelly. I “toured” the cemetery on Google maps and it seems to be a really old one. Being in Kentucky, there maybe several civil war soldiers there. At least that’s what I figure the signs are for. 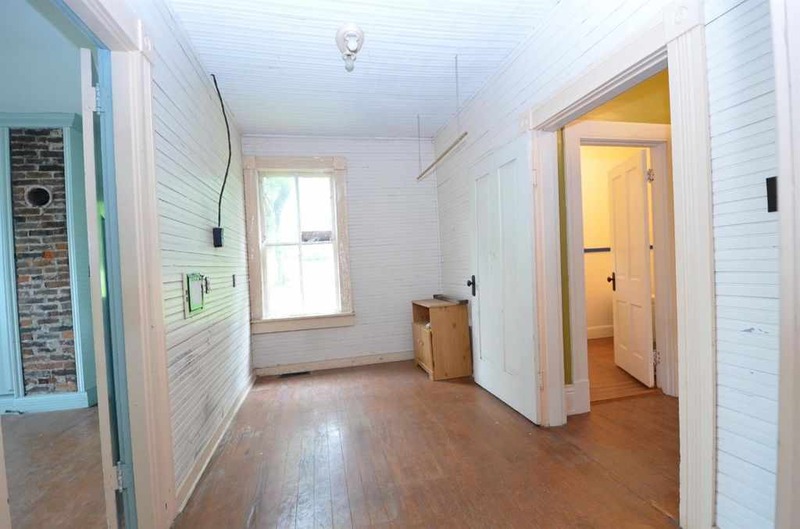 It’s a cute house and I hope the new owners just fixes any damage or what needs fixing and doesn’t “update” it to death. Hello Warbon! 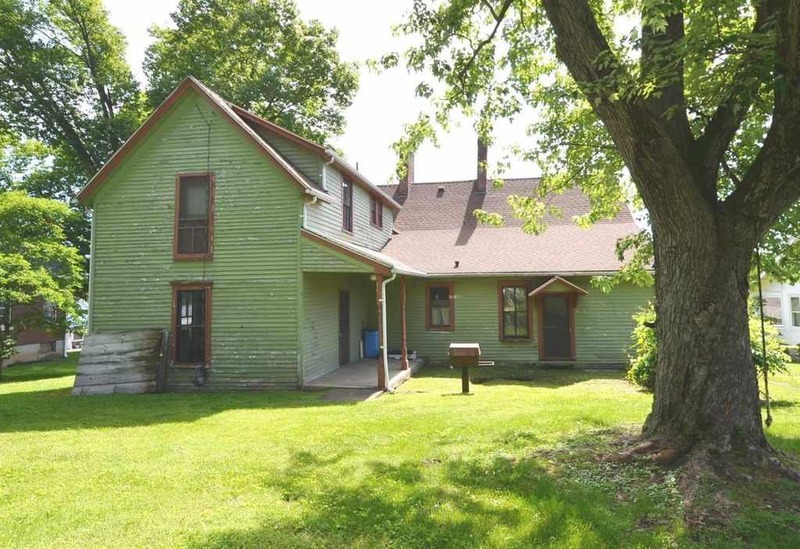 My husband and I just purchased this home. I was born and raised in Harrodsburg, have lived in several larger cities but am now going back to my roots! 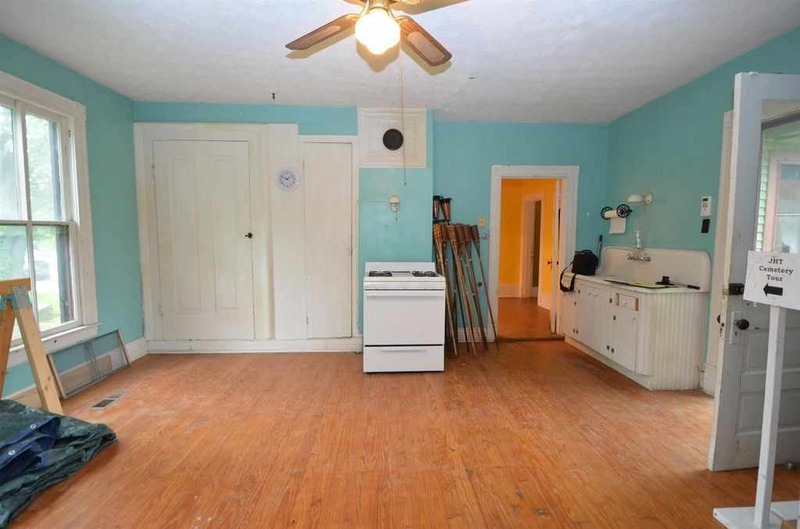 We are excited to fix everything that needs fixing, make the fireplaces functional, update that upstairs bathroom (laminate everything no thank you), add more counter space in the kitchen and that is basically it! We will also likely paint the exterior the same as it was when it was listed on the registry in the late 1980s. Hopefully we can do it justice! 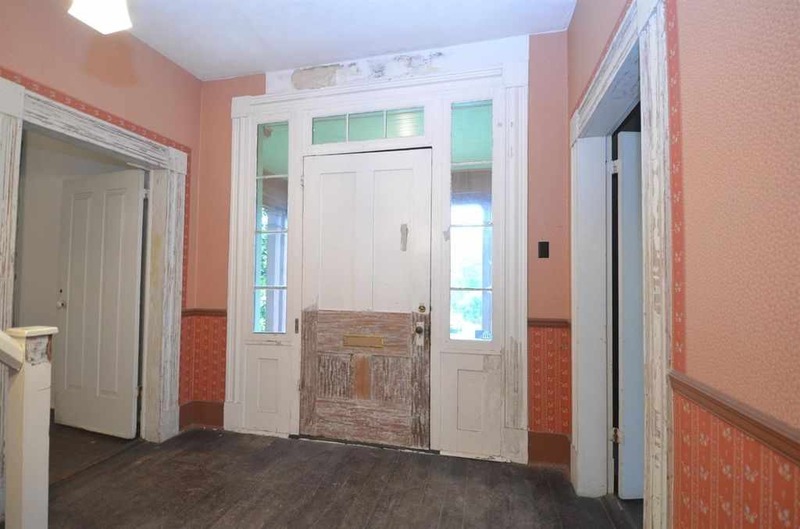 Gretchen, please tell me you have a blog about your restoration of this amazing house! 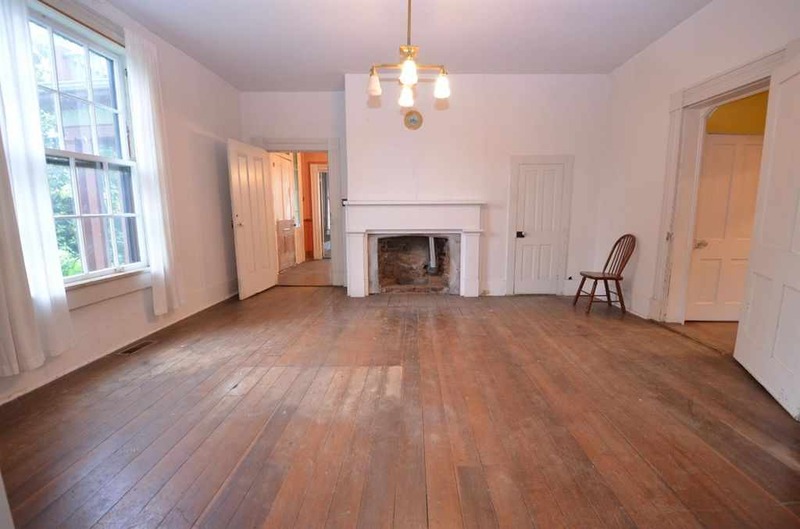 I looooooove living vicariously through those lucky/brave enough to restore old homes, and I cannot find enough blogs! I just purchased it on 12-7-18 for 55k cash. Will be living there and doing a restoration. LOVE this home. it will be fantastic when done. I have 30 years experience, and this will be my personal home. 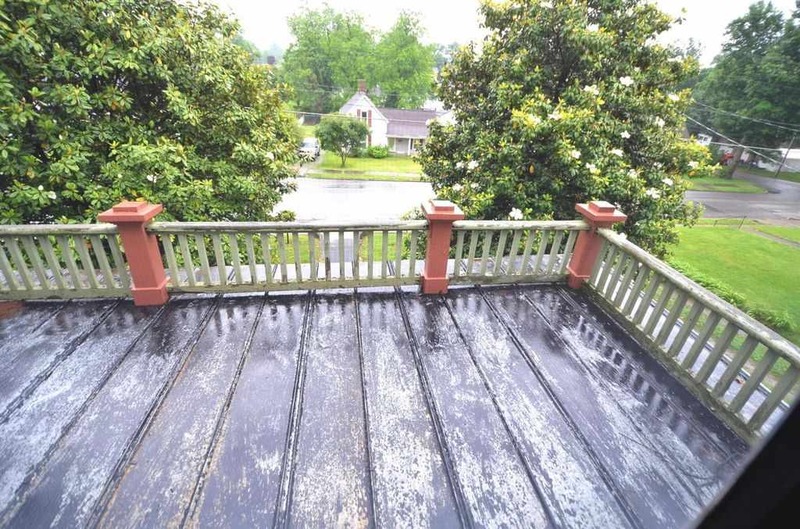 It needs the entire front porch rebuilt, the widows walk is still solid. going to replace the missing balcony on back as well, and rebuild the Carriage house. 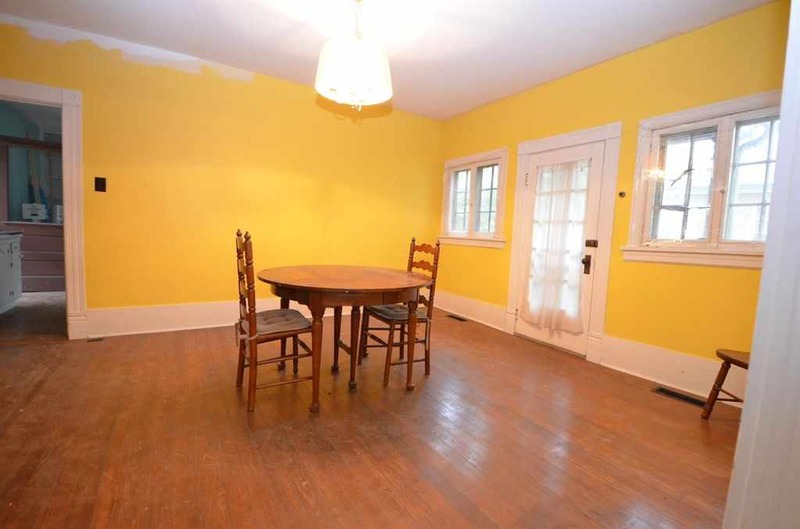 Aside from a few small changes in the kitchen and other adjustments throughout, the house will remain original. 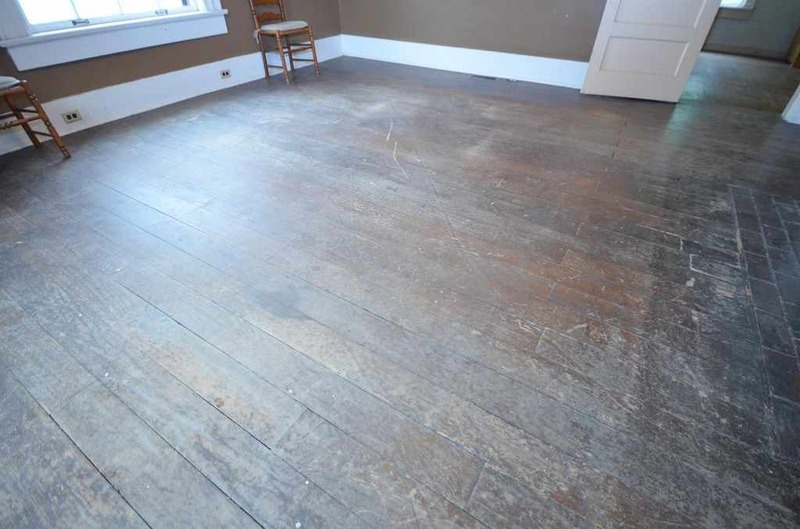 going to sand and reseal the original hardwood floors as well…Will update with before and after pictures if you have an email I can send them to. Wow, y’all got some great eyes! LOL Thanks! Who wants to go on the tour with me? I love cemeteries! I’ve seen this Home many times before and I am Co fidentent that is was designed by A.J. Downing! He sold many of his floor plans across America! From the Style to the floor plan/layout. The house would actually be very strange if it was not one of AG Downings Gothic Cottages. I agree about A J Downing. Google “The Architecture of Country Houses” and the origin is easily seen. The Rice-Tremonti home (Google it) in Kansas City Missouri is a very early example built on the western prairie frontier. The exterior does retain the formal lines of A.J. Downing/A.J. 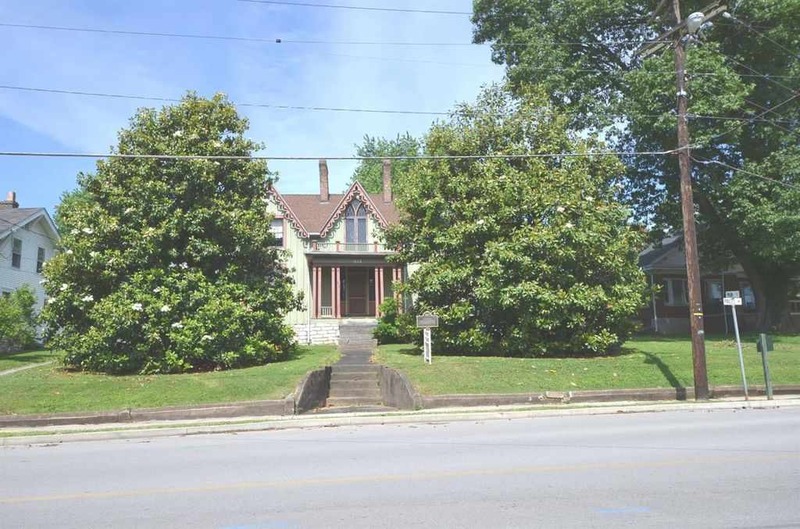 Davis designed Gothic Revival cottages from the 1850’s. 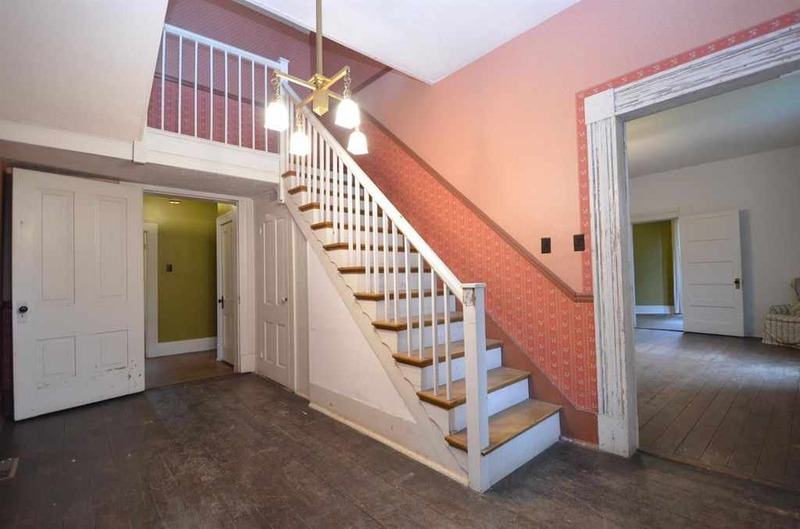 (as interpreted here by local builders) The interior is more relaxed stylistically although there is no telling what interior design elements go back to the 1850’s. Lots of potential here. 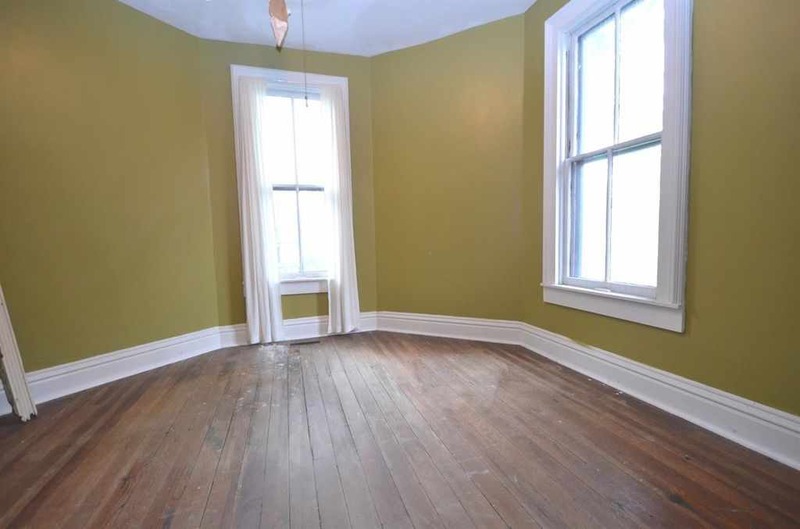 Downing is on record as not liking white paint for house exteriors although the color palette he approved of consisted of muted “earth” colors unlike the sometimes garish color combos of the 1870’s to 1890’s. A good exterior color reference is the book Victorian Exterior Decoration Roger Moss and Gail Caskey Winkler that has been in print since the 1980’s. Used copies often sell for bargain prices on popular Internet retail/resale sites. Do you want the sink? 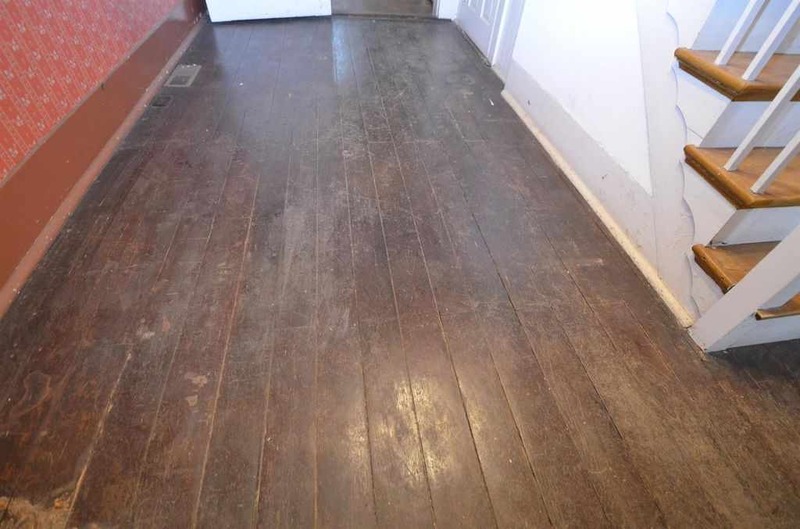 I just bought this house and am removing it. Oh yeah – missed it the first time. 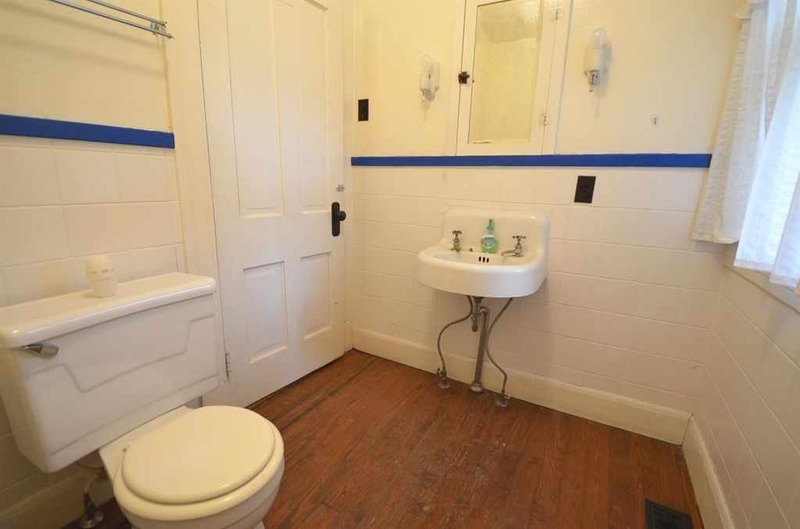 It’s in one of the kitchen pictures on the right. Dottie, the sign in photo #4 is a walking tour sign. This house happens to be the second stop on the historical walking tour. IF you’re ever in Harrodsburg, I suggest you take the walking tour, you’ll see some beautiful old homes and businesses. Maybe there is a cemetery close by or out back??? 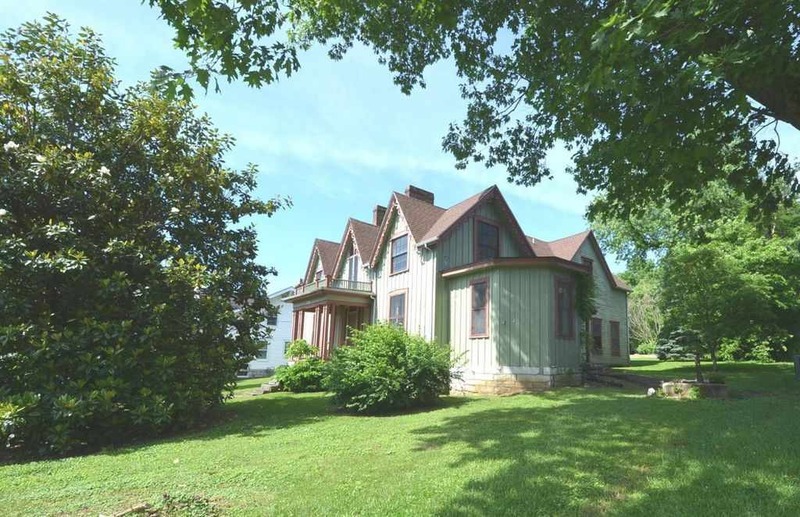 this would need to be brought back to its former glory and would be a spectacular home…. I just purchased this home. give me a year or two. She will dazzle!! 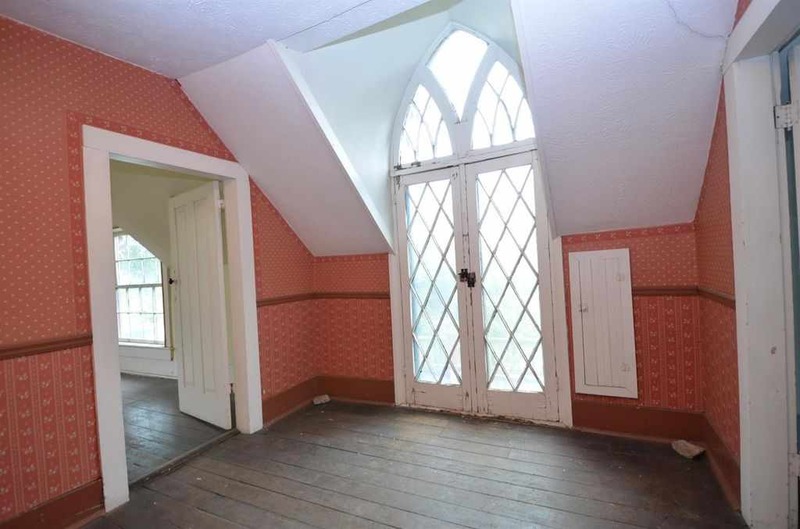 The gothic window on the landing is stunning. There is a cemetery a couple of blocks away. They use to have cemetery tours on Halloween night. I don’t know if they still do. I think it would be a scream to tour a cemetery on Halloween night. Posted last year, went off market but now back on (not sold yet.) Price now at $90k. my husband and I just bought this house! 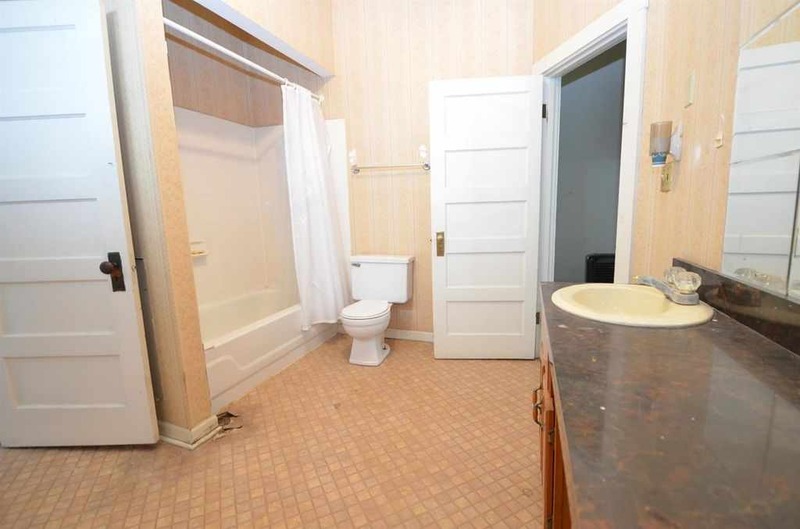 Showing back on market, guess the sale didn’t make it to close? Guess not. I just bought it from the James Harrod Trust Yesterday!! Going to live here and she will be fantastic when I finish restorations! Please keep us updated on your restoration. Just search Pulliam-Curry / Crager house!! Feel free to spread the word and share! It looks like a heck of a bargain for the price. Regarding the graveyard two-blocks to the east, it’s a mere forty-acres in size. I’m curious (picture 10) what the foundation is, in the back yard. Can’t tell for sure, but looking at Google Earth it looks like a family plot. I drove by this place, not really on purpose, last year. Harrodsburg seemed to have a nice downtown and some fine old homes. Might be a nice place to live. 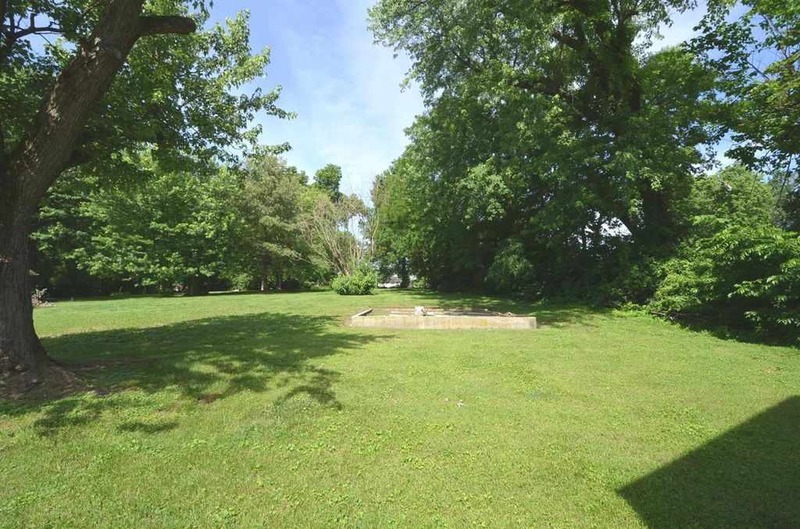 What is the small concrete area in the back yard? Could that be a small family plot? it was an old garage that was torn down! My husband and i just bought this house! I believe the “cemetery” is in picture 10. 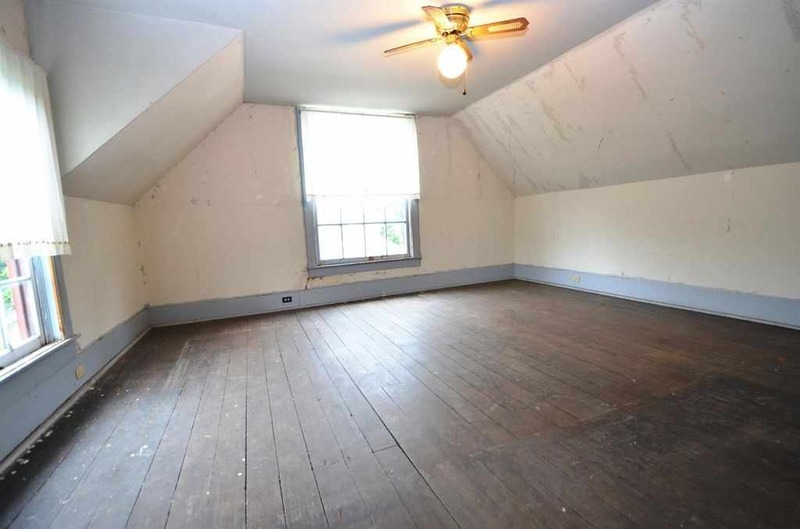 Would like to know more about rooms on the first floor and what the basement is like. Quite a contrast with the white-out paint job from the 1980’s. Could use some similarly appropriate period detailing inside. 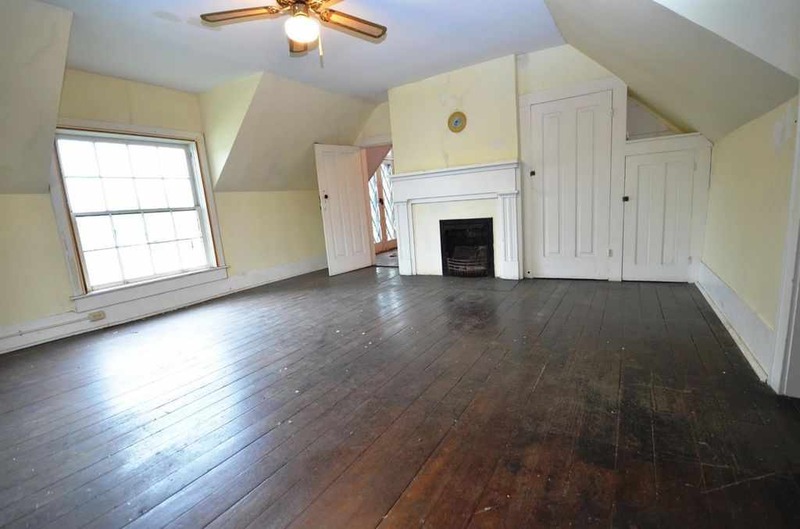 Great old house for a bargain price! 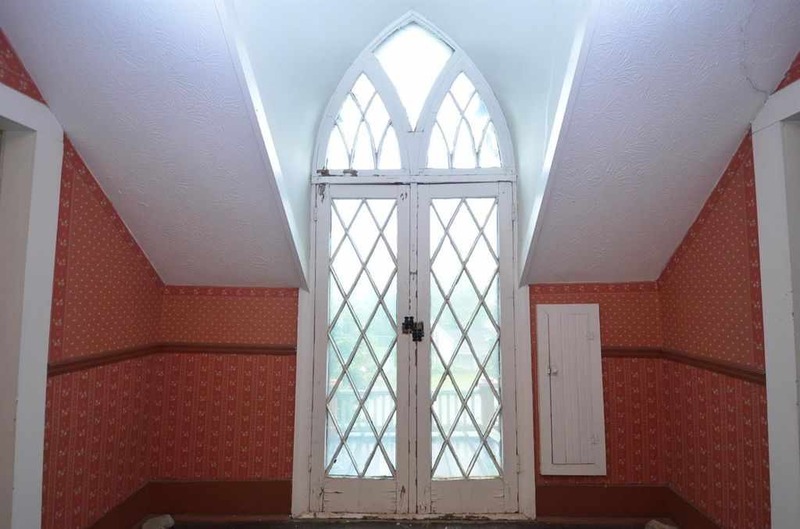 I certainly see it on the exterior, but once inside…if it weren’t for the one single Gothic detail, that being the window on the second floor, I would never ever know I was in a Gothic house. Is it just me? 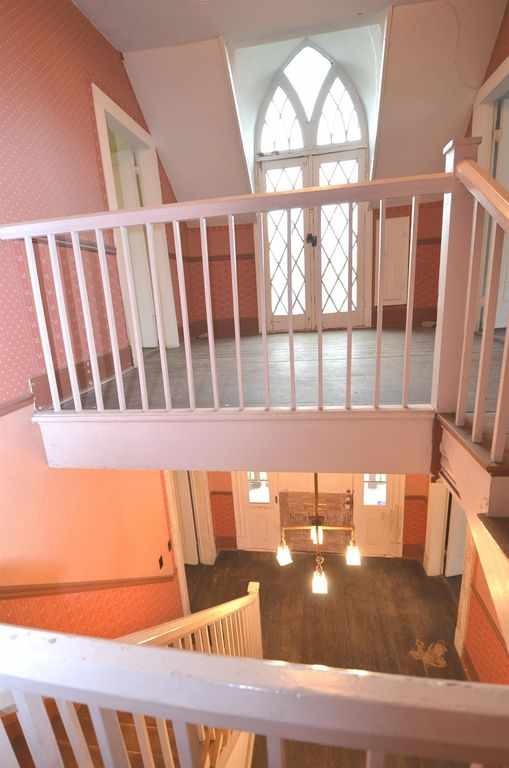 The front windows seem too wide, and the staircase banister and balusters look like replacements. There’s plenty to enjoy, but some wrong notes. I drove by this house about a month ago. It looks like it is pretty sturdy but needs work. But for the price ,those fixes would be easy to afford. 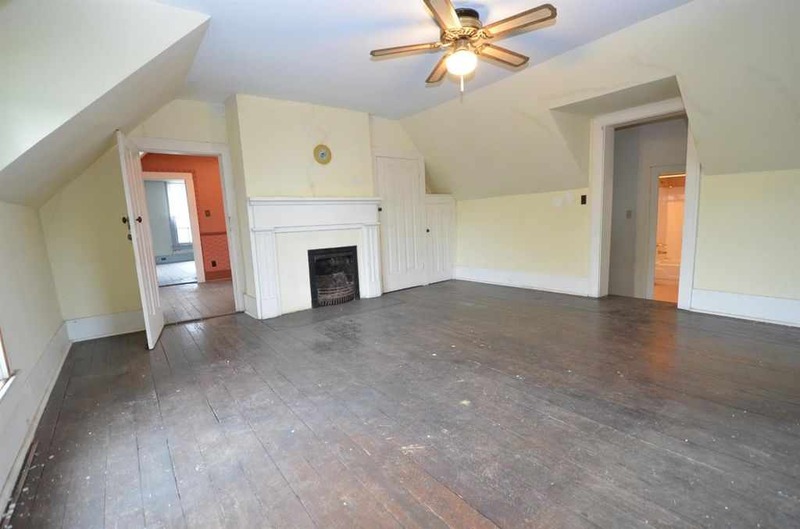 It needs a paint job bad and there are some bad boards on the porch but nothing extensive. Everything looks pretty original, the woodworks needs to be stripped of course. It’s in good enough shape to live in and work on. The neighborhood isn’t great, but it’s not horrible either. I would say it’s working class. 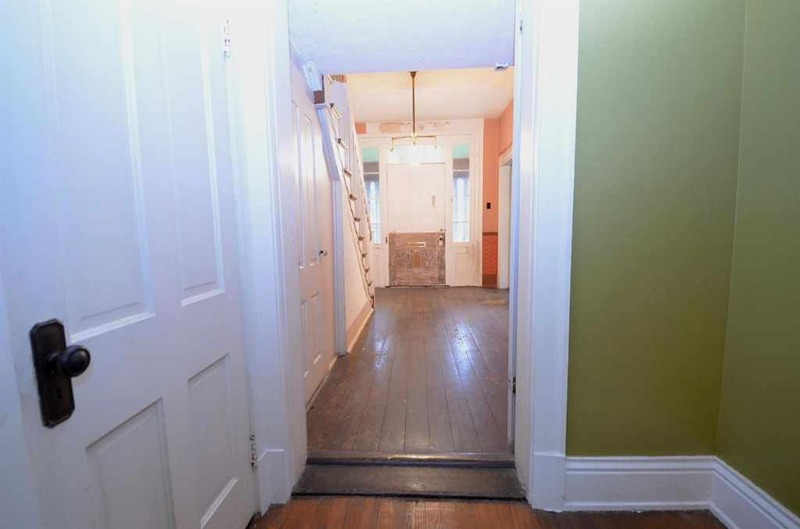 But it is in walking distance of a really nice downtown with cute shops and restaurants. This town is Kentucky’s oldest town so there is a lot of history and a lot of buildings from the 1800’s. 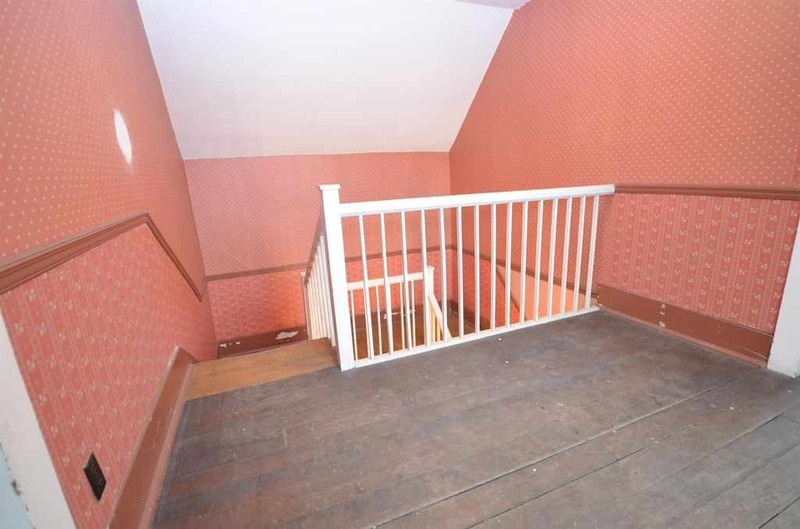 It’s also close to Shaker Village of Pleasent HillH. One of the coolest places in America and Kentucky’s largest historic site. It’s 25 minutes from Lexington and not to far from Danville. 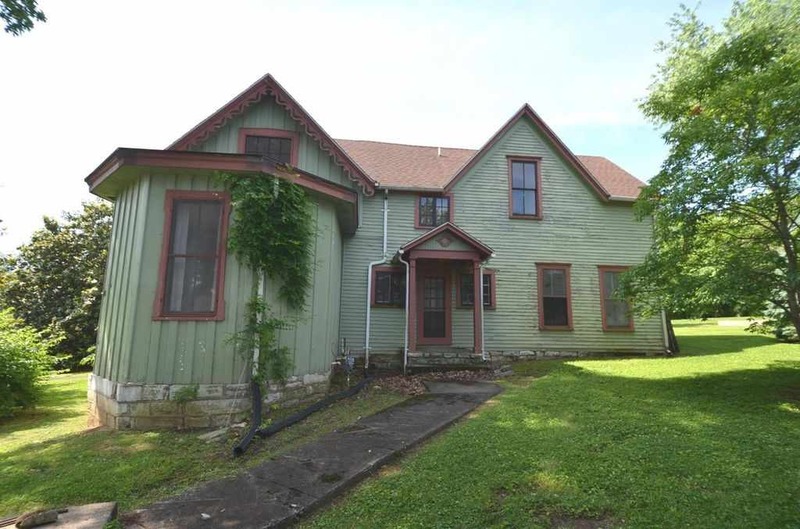 If this house was still for sale when I sell my house In Lexington next summer I would think about buying it. I went and looked at the house last weekend. So if anyone wants to know anything about the house let me know. I wish they would have waited until spring to reduce the price. They are going to sell it before I can get it haha. This architecture is reminiscent of two house styles here in Plano. 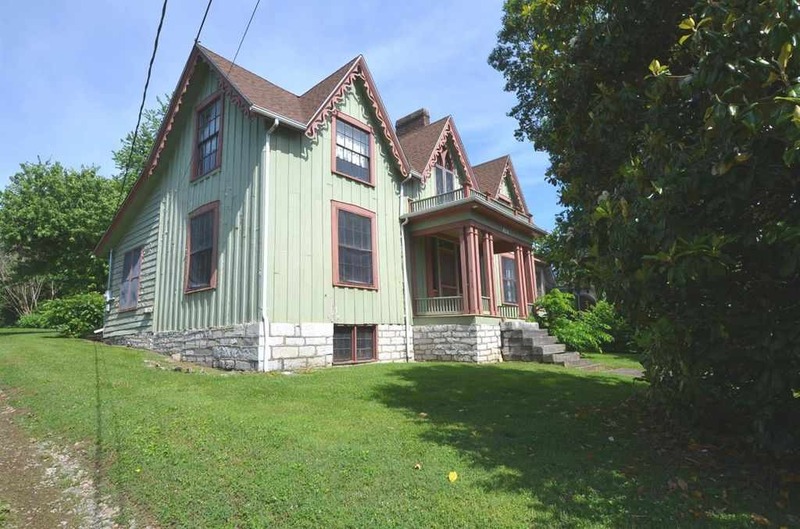 The Young House, dating to 1876, is true carpenter gothic. It’s smaller at about 1800 sf. 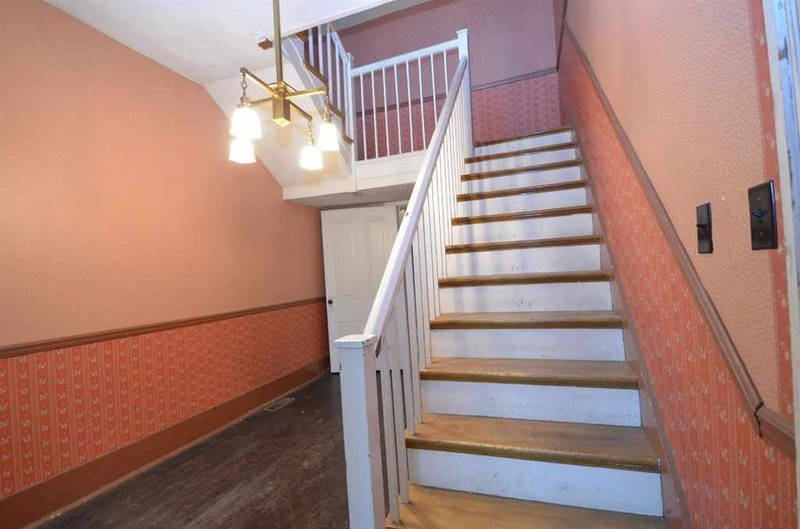 The interior floor plan reminds me of Collinwood, built 1861. 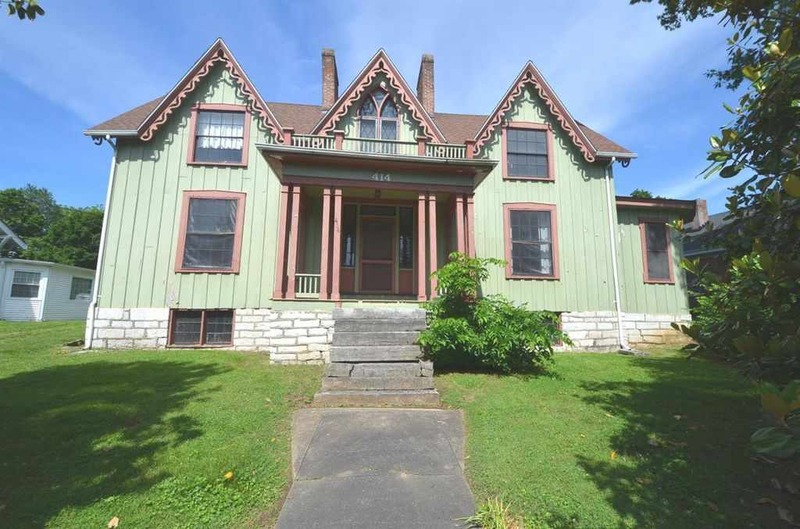 It is reminiscent of an I-House with the full two-story of the I. Gothic windows and porch as you see. Collinwood is 3200 sf. The wave gingerbread trim is missing, but we think it might be in the attic, or at least some of it. 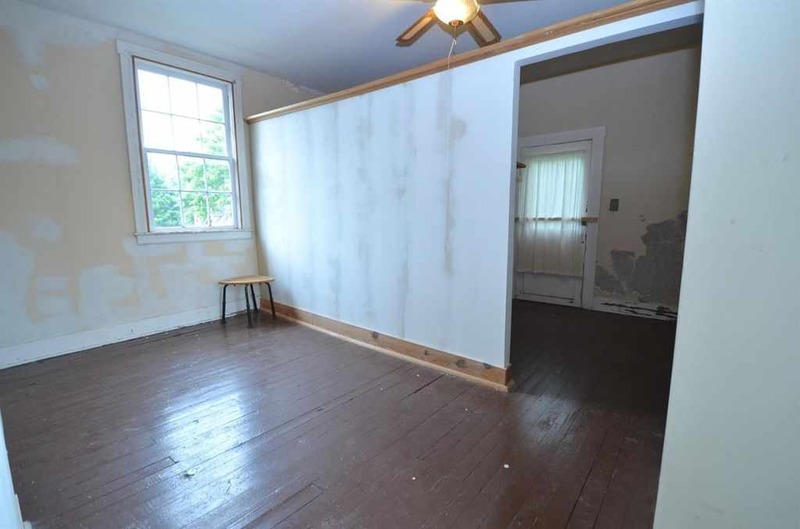 Does anybody here know if that vertical siding might be original? I’m thinking it’s not from photo 7, but I’m not positive. Seems like a number of Gothic Revival homes have it. 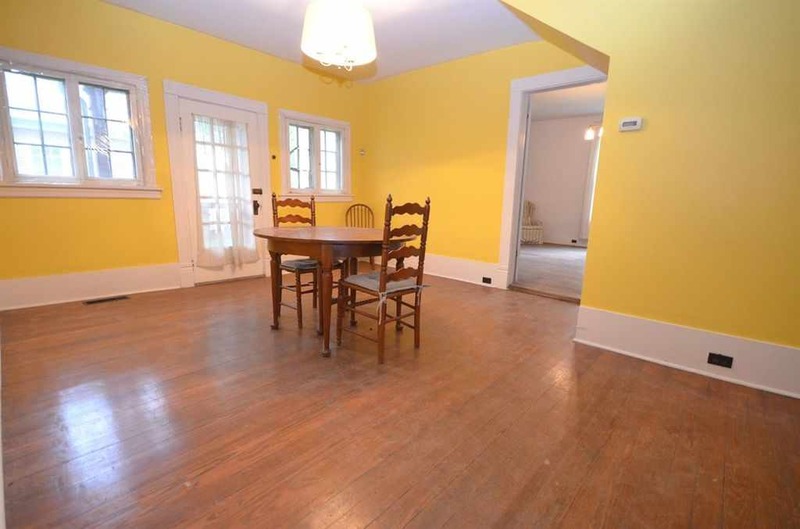 Yes, from what I’m told almost everything about the house is original. 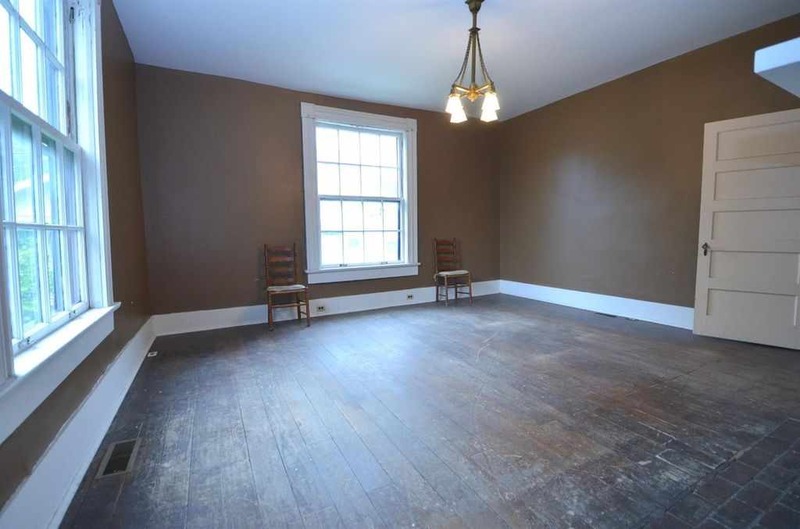 The house was built by 2 different people. 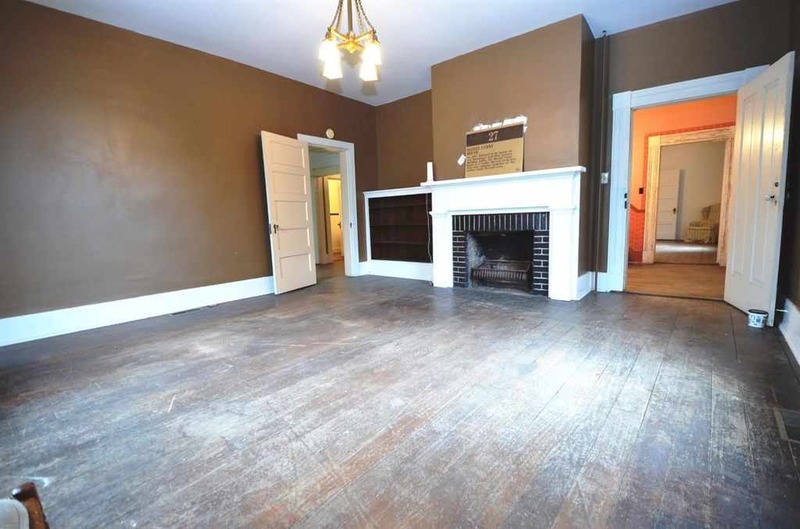 A majority of the house was built in 1857 and that is why you see 2 different styles in the house. I can verify the vertical siding is original. I will have to replace 3 pieces of it, but it is otherwise pretty sound. Reminds me of a doll house! I love it!